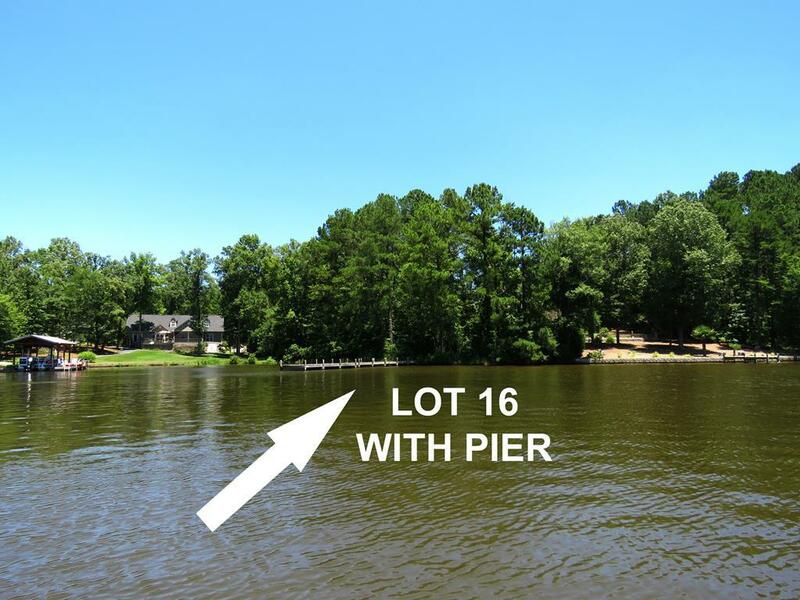 Awesome dockable lot has a generous 180ft of lake frontage & a pretty view so you can admire sparkling water every day. No worries or hassle with perc-testing as it comes with its own satellite lot for septic. Enjoy a very gently slope to the water, making this an easy-buy, easy-build lot with minimal re-sculpting of land. Build your dream home right above the lake's normal 50' set-back & flood zone for no flood insurance. Homes already built on each side, so you'll know exactly how you want to position your home. Pier w/ sunning deck already in place so you can bring your boat & enjoy the lake right away. Path has been cleared making it easy to walk and see the lay of the land. Enjoy the back-to-nature environment in the beautiful section of 11,400-acre Lake Greenwood known as Hidden Lake- great fishing, amazing birds & birdsong. 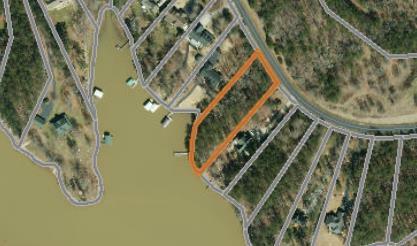 Crystal Bay is an established lake community with nicely-sized lots for buffers between neighbors. 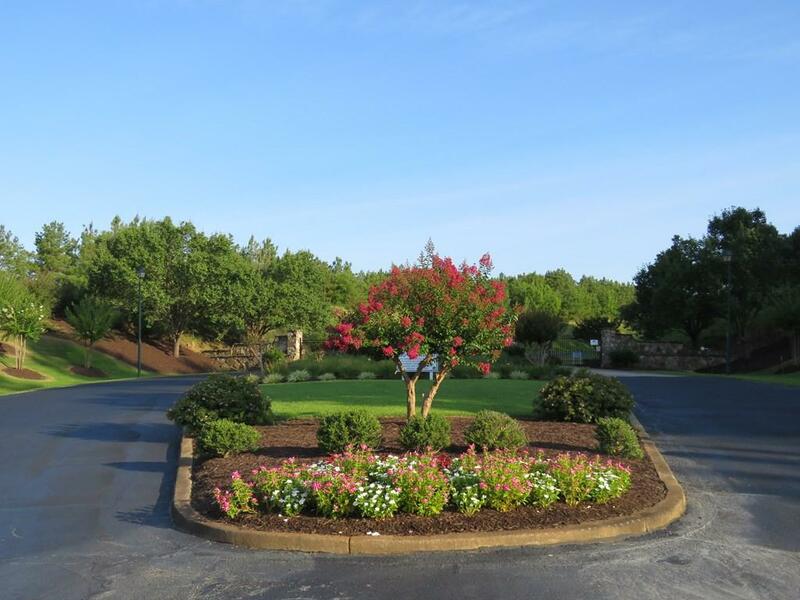 Enjoy gated security, a private community boat ramp, boat/RV storage, big community picnic gazebo, social activities, & walking trails. Pick your own builder, your own timeline to start, & build your peaceful lakefront sanctuary (min. 1800 sf homes, no mobiles). Community covenants & restrictions apply. Crystal Bay offers the best mid-lake location for access to shopping, town, highways, but quiet natural serenity. LOW LAURENS COUNTY TAXES! 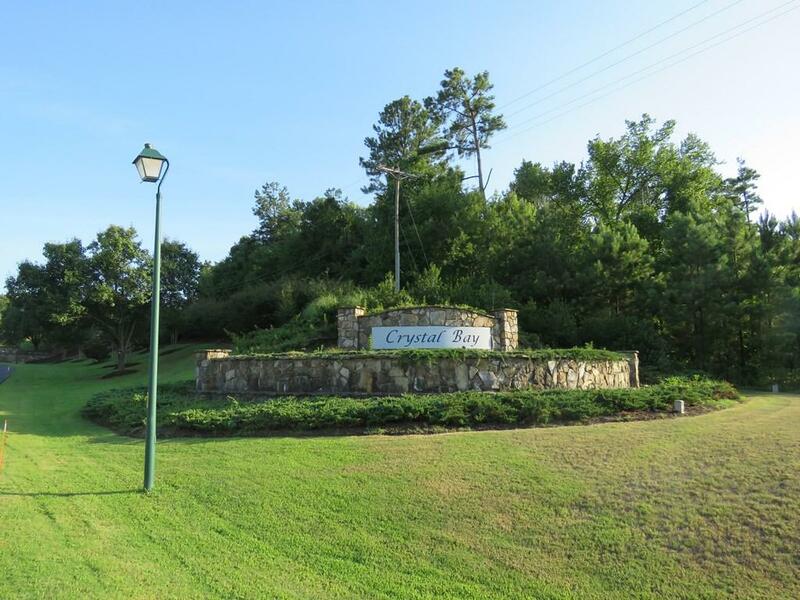 For lots of good information, visit the Crystal Bay website for covenants and more: http://www.crystalbay2hoa.com LOVE YOUR LAKE LIFE!